In the last few years, I’ve had some pretty awful birthdays. On my first birthday during these world travels, in Peru, I almost slid off of a mountain and then vomited three times in a bumpy plane. In Berlin a few years ago, I was so sick with a sinus infection that I couldn’t get out of bed. Two years ago, I was forced to spend it with a person I can barely stand to be in the same room with. So for this momentous one, as I came upon my fortieth, and in honour of the dreadful tradition that seemed to be forming, I was sure that something awful was going to befell me. 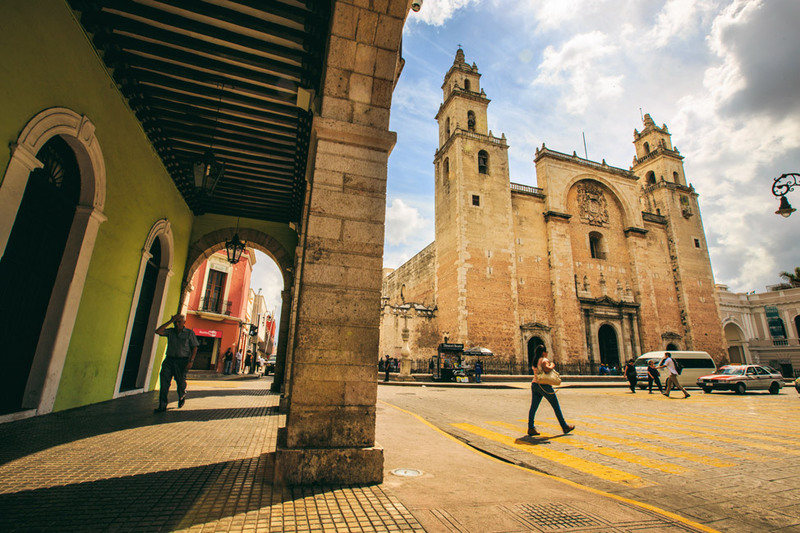 I thought I felt a nasty cold coming on, and the change of atmosphere from mountainous Oaxaca to sea-level Mérida caused a crippling headache on arrival that threatened to linger. My mood was little better. The weeks leading up to that day near the end of February came with exactly the roller coaster I expected: I had a series of ups and downs, tears and laughter, disgust and only partial acceptance. But, now that I’m here, firmly in my 40s, I’m not going to dwell on it any longer. There is not much I can do now but grin (complete with wrinkles) and bear it. And thankfully, my actual birthday turned out to be pretty stellar (despite the story that the following photo may otherwise tell). As I came upon my fortieth, and in honour of the dreadful tradition that seemed to be forming, I was sure that something awful was going to befell me. And so for this birthweek we decided to do something special, to go somewhere new, and even invite some friends along for the occasion. We chose the Yucatán, a state in Mexico we had never been, and a white sand beach with fruity cocktails in hand seemed a pretty good place to celebrate. Traveling friends Katie and Geoff rode the plane with us from Oaxaca, and then my dear friend Sharon, who I’ve known for over twenty years, came with her husband from Alberta to join us. We started in the colourful city of Mérida (where Pete proceeded to subject me to a whole restaurant singing happy birthday), and then drove an hour to our rented apartment on the beach past Progreso. We stocked the fridge with a variety of local beer and other beverages, two cakes (as you do), a box of Nanaimo Bars that Sharon smuggled in from Canada, and we were all set for my birthweek. We decided to do something special, to go somewhere new, and even invite some friends along for the occasion. 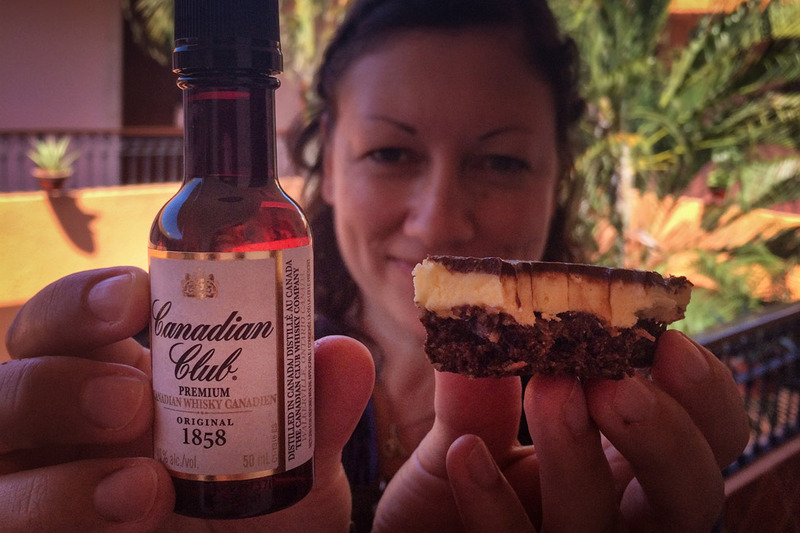 Good friends know exactly what treats to bring from Canada. The beach outside our apartment! Some days were half spent poolside or taking long walks on the beach, on others we loaded into our beat-up rental cars to explore the area. And I have to say that I had expected the highlight of our time there to be the fact that we were spending our first days on a beach since last June (in Zanzibar). 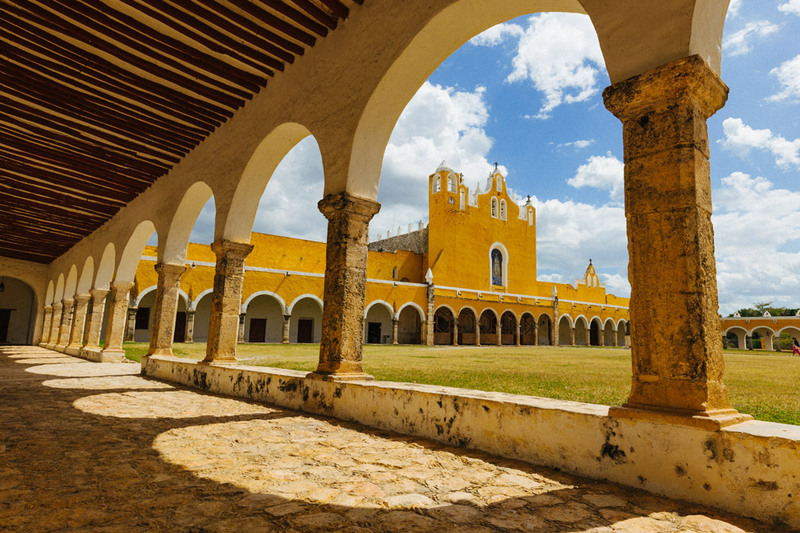 Instead, I would soon find out how utterly fascinating the Yucatán is. Coming down from the mountains to Mérida was a massive shock to the system temperature-wise. We are more suited for cold, and so in the first few days we adjusted well to open-toe shoes, but less so to being drenched in sweat. I can’t call Mérida my favourite spot in Mexico, but it did really grow on both Pete and I. 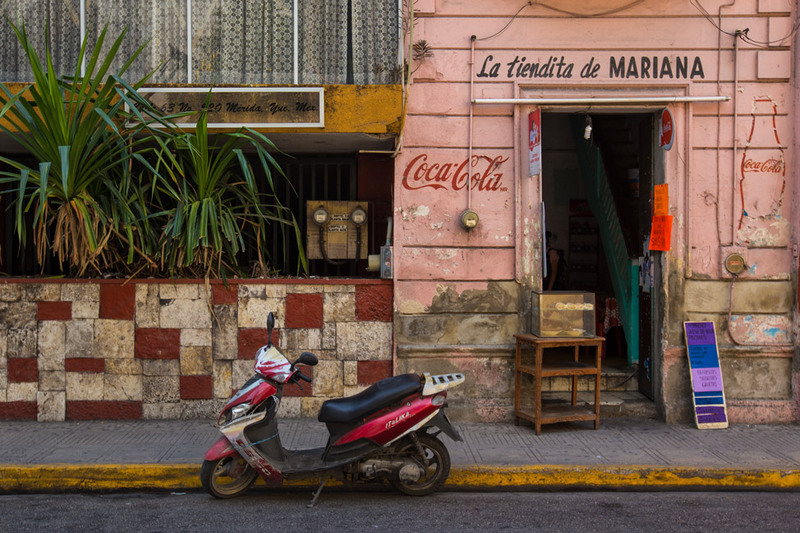 It is easy to navigate, has some very pretty corners, a sprawling and fascinating market, and is home to my now new-favourite Mexican food. Move over el pastor tacos, salbutes own me now. They are deep fried and puffy tortillas topped with a choice of meats (I stuck to the spiced turkey the whole time) and fresh veggies. 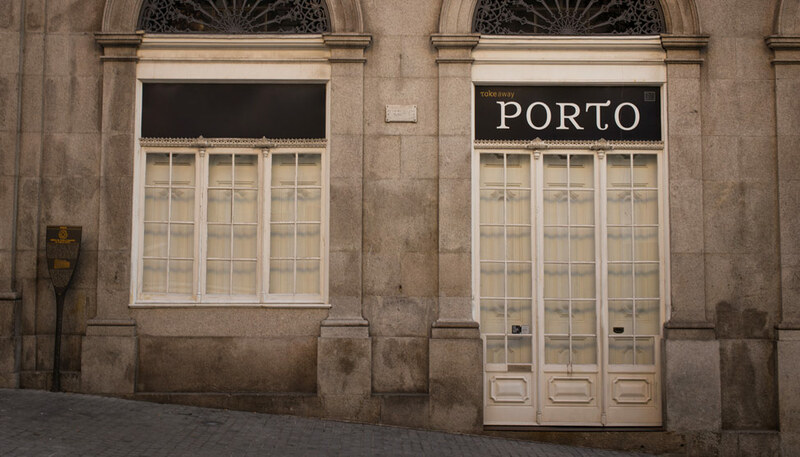 Blogger friends recommended a grimy street stand near the Mercado Municipal No. 2 Santos market and they were right to do so. They claimed it was the salbute that would change my life. They weren’t wrong. I chased that taste all over the Yucátan. The salbute that will change your life. 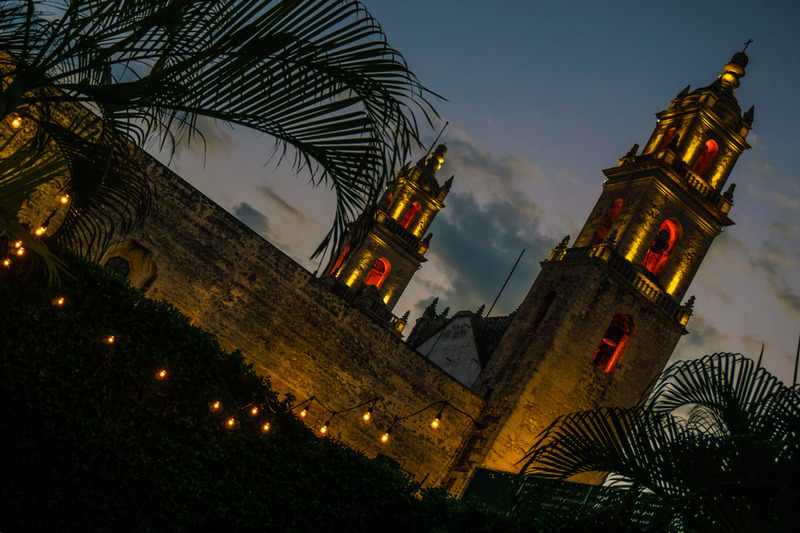 It’s a Spanish colonial city on top of an ancient Mayan one, with a sprawling Franciscan monastery and an open atrium within that is second in size only to the Vatican. 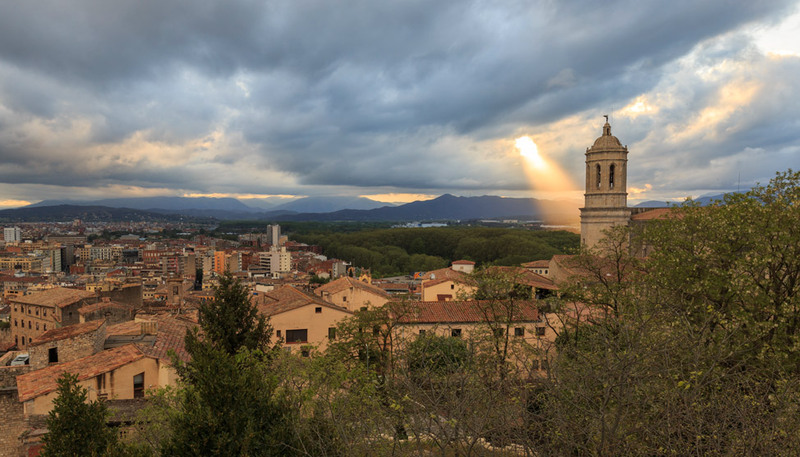 All the buildings in the center are an egg-yolk yellow – I have found no reasoning as to why they are this way except to say that they all match the central church. 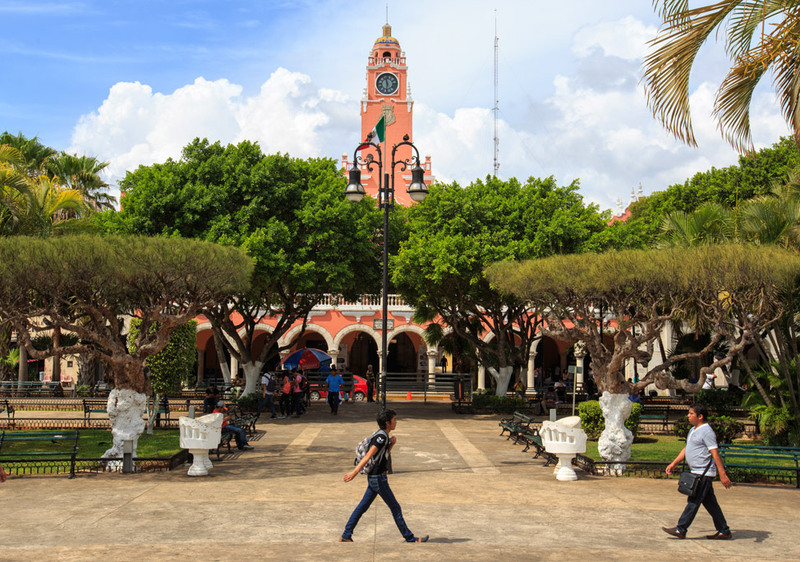 No matter, it is these vibrant buildings and the historical significance of the city that earns it the distinction of being one of Mexico’s pueblo magicos, and it is well worth the visit. It was hotter than hot the day we chose to see it, and after stopping in shade to have our first snack of the day (salbutes, of course), we later found another spot for the area specialty known as cochinita pibil. It was good, but not a salbute. More salbutes, please. 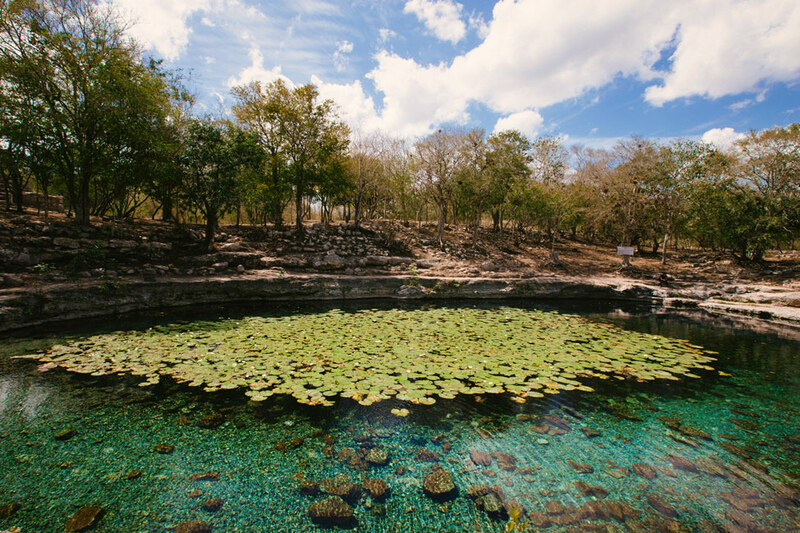 Around 66 million years ago, the Chicxulub asteroid struck this part of Mexico and created a complex of caves and underground sinkholes now known as cenotes. 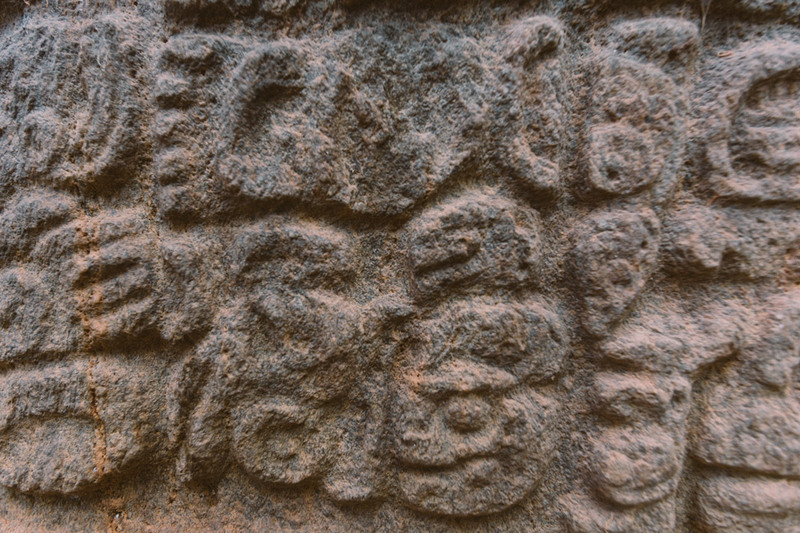 Revered by the Mayans, they were sometimes used for sacrificial offerings. 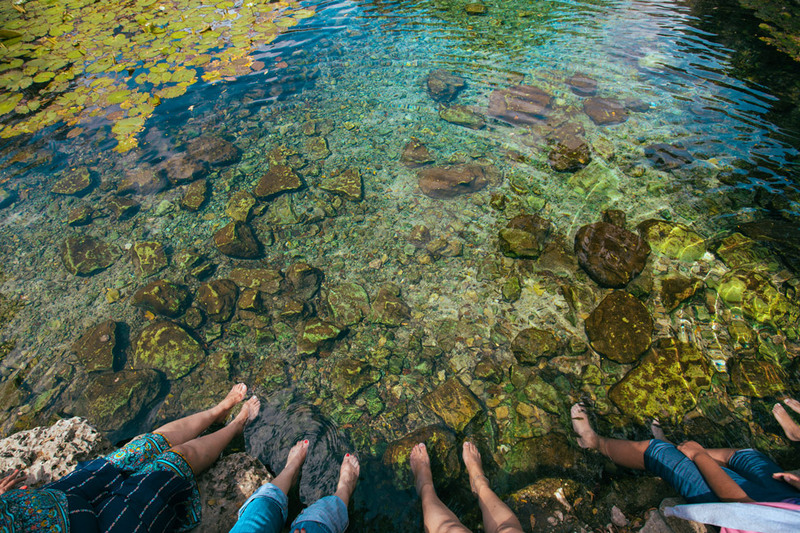 They are scattered all over the Yucatan and the neighbouring state of Quintana Roo. Although the latter is reputed to have the most remarkable ones, we went in search of one near us anyway. 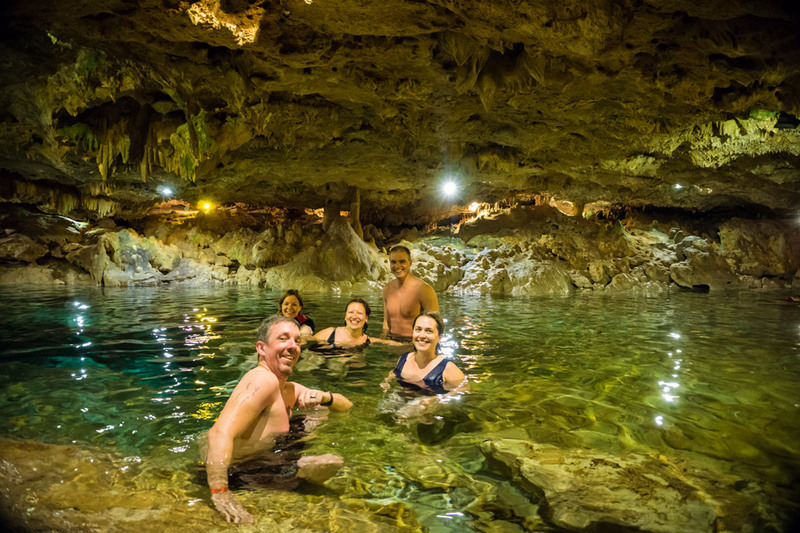 We found San Ignacio cenote, and although it did not have the dramatic high ceiling of others we’ve seen photos of, and it is also pretty dolled up for tourist visits, it was still magical to swim in. 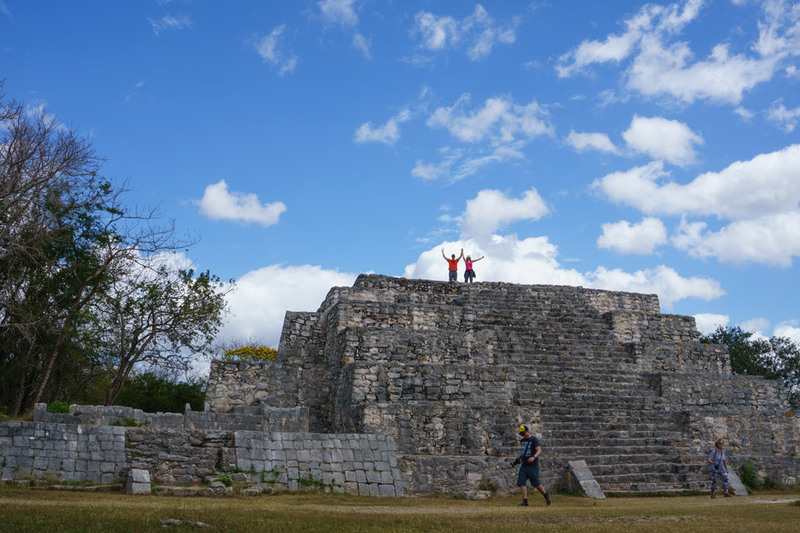 Right in between Mérida and Progreso, these ruins are not the most remarkable we’ve seen in Mexico, but is an impressive site nonetheless that has been continuously occupied for thousands of years. Most noteworthy is the Temple of the Seven Dolls, named so for the small effigies found at the site when the ruins were discovered. An open cenote onsite made our visit there all the better. I am a fairly optimistic person by nature, but I have to admit that I did let my impending fortieth get me down at the time. 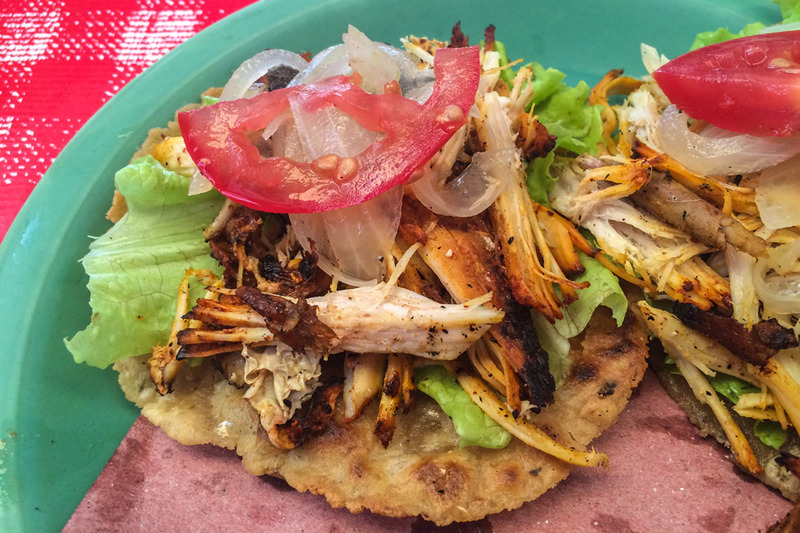 In retrospect, however, it also appears I stumbled upon a cure for such by inviting great friends to celebrate in the Yucatán and surrounding myself with salbutes as often as possible. We escaped the very touristy Progreso and headed to Uaymitun, drawn by this apartment with the rooftop pool and gorgeous views. It was a fantastic stay with a very considerate host who brought cake and wine for our celebration. Given we were there in low tourist season, there was only one other inhabitant in the building so we basically had the place almost entirely to ourselves. 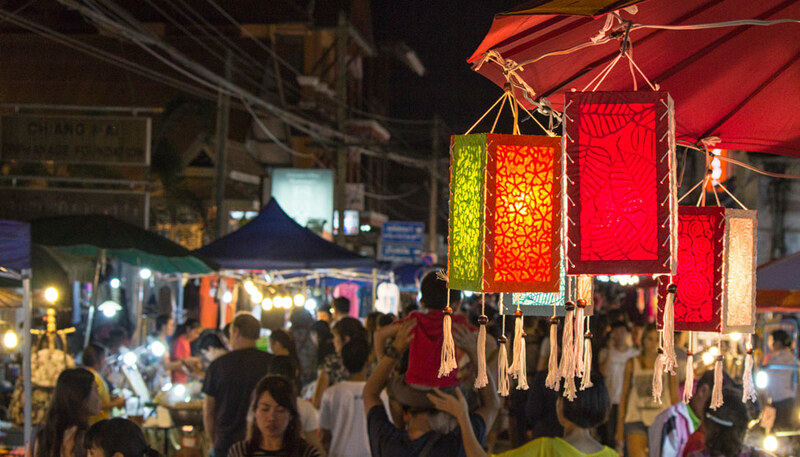 Don’t forget to sign up to Airbnb with this link to earn travel credit for your first stay! A city to spark my creative side. Where to find us on Saturdays. From one angle to another. 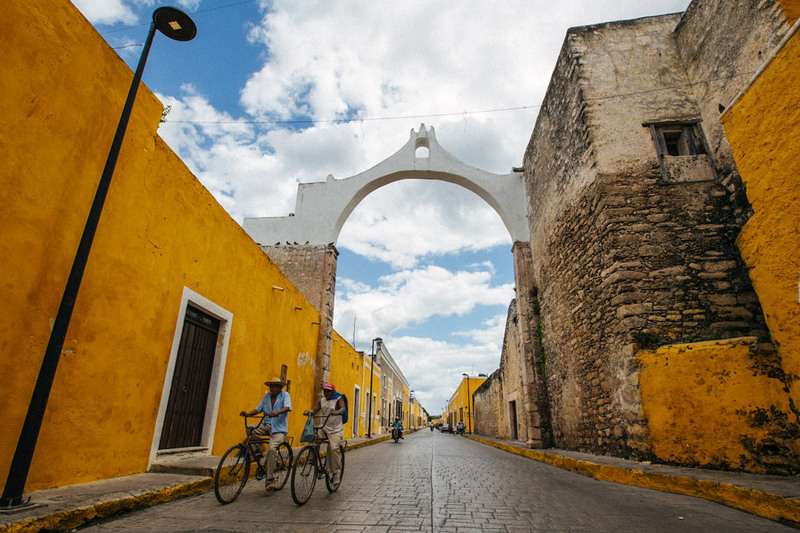 Fantastic Photos of the Yucatan! 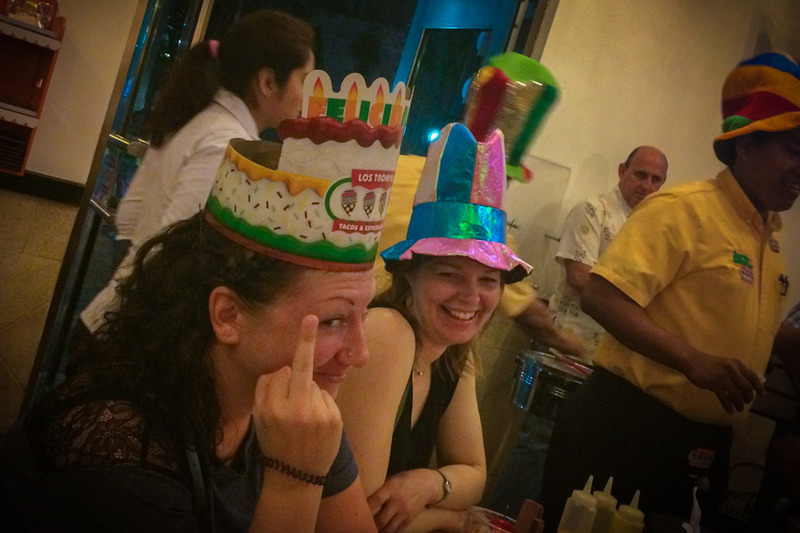 It’s great that you had a nice week in Mexico to celebrate your birthday! Thank for sharing these travel tips! Mary @ Green Global Travel recently posted..What is Fair Trade? Our Next Big Adventure! Yaaaaaaay! I’m so glad you checked out that market stall with the salbutes! That was where we had our first taste too, and despite having eaten A LOT of them since then, I still dream of those ones from Mérida. 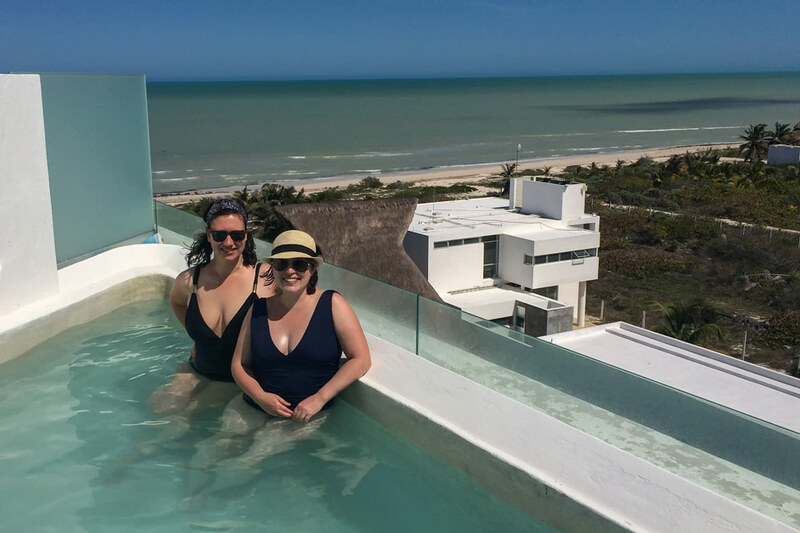 Looks like you really rang in your 40s in style & had some amazing experiences here in the Yucatán. 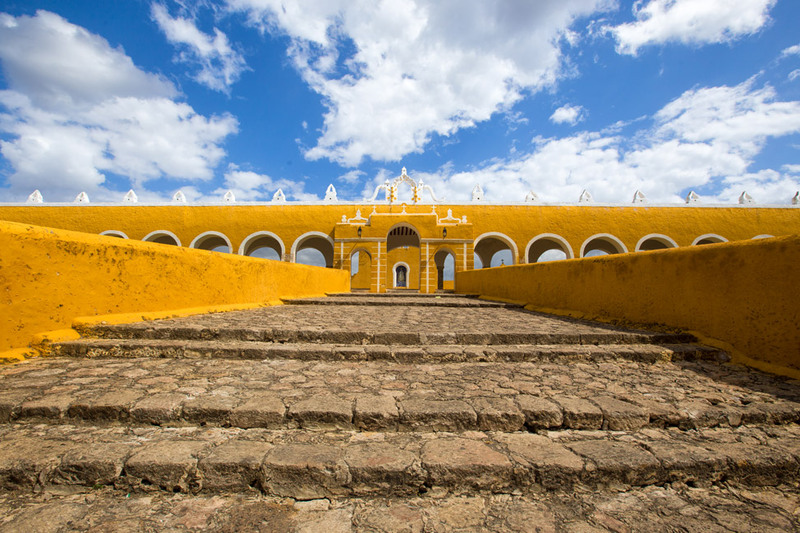 Love the photos of Izamal—it’s on our list of places to visit before we leave this slice of Mexico. Thank you SO MUCH for that recommendation. I am still dreaming about them too. In fact, even though I am surrounded by Spanish ham right now…I STILL WANT THOSE SALBUTES. Where shall we meet you for year 41?!! Great trip! So lucky to have you guys as friends!! Thanks Jane! 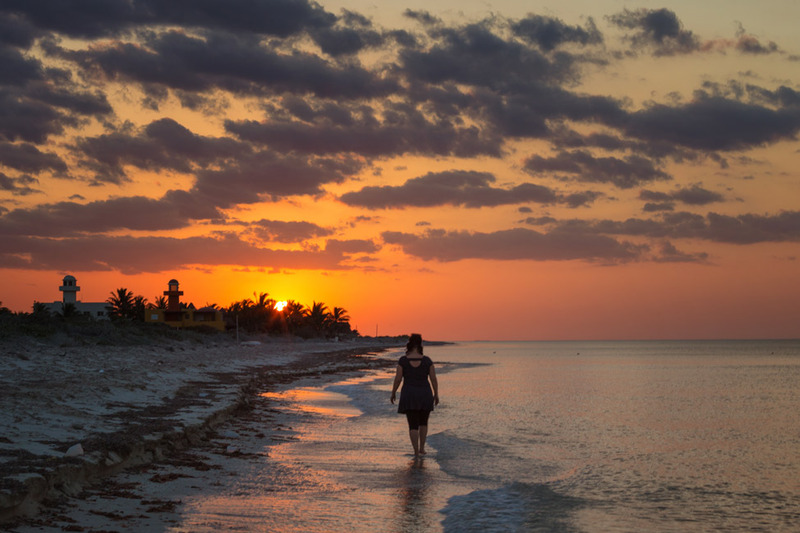 We were so pleasantly surprised by the Yucatan – if it wasn’t so HOT, we’d consider planting ourselves there for a good long while! Oh, now I’m craving Mexican food, but as it’s Cinco de Mayo, any place will have crazy lines today! I started my own birthday tradition a few years ago, which of course involves travel. Last year, I turned 40 on a beach in the Grand Canyon…it was magical! For whatever reason, turning the big 4-0 didn’t bother me one bit! Happy Birthday Dalene! Gald you have great friends to bring you when feeling a bit down!